The second course in LMU’s University Honors Program Colloquium, Research & Exhibition introduces Honors sophomores to undergraduate research. The 1-unit course walks them through engaging a mentor, searching the literature, formulating a research question, and finally constructing a proposal for investigating that question. The proposal is submitted in narrative form and presented at the end of the semester during a mini-“proposal fair” during finals week. This collection gathers these presentations together in electronic form. Titles and abstracts are available on the Internet; full presentation slides are for on-campus access only. If you have special circumstances and prefer to present on a session other than the default for your section, specify that date/time as the “Start Date” when you submit your information below. 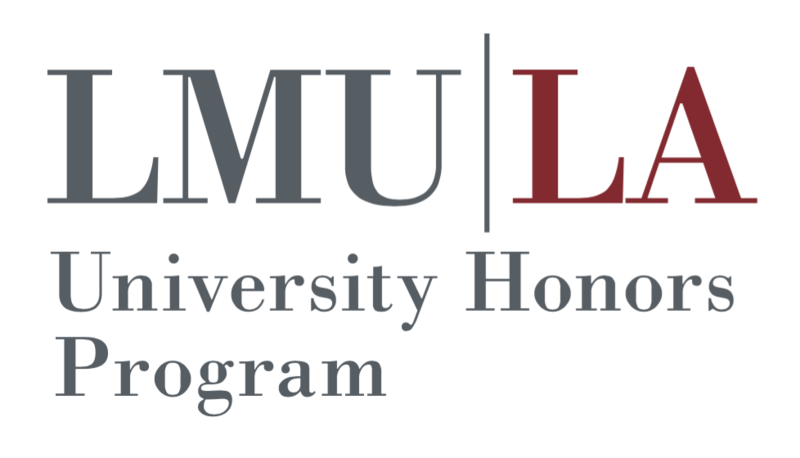 Submission will require that you have an LMU Digital Commons account (which is distinct from your overall LMU credentials)—you will see an option to sign up when you click on the button. Treat your profile seriously and professionally: you will use this same account again when you submit your Honors thesis. The “Event Title” should be your presentation’s title. You may leave “Location” blank. “Event Website” can be used to hold a link to an online version of your slides, or left blank if nothing is applicable. Under “Start Date,” specify your preferred date and general time slot—most of the time, unless you have special circumstances, this will just be the date and time for your section. If you do set a specific time, please set it at 5-minute increments (i.e., make sure that the minute is a multiple of 5). Dr. Dionisio will take care of managing the final precise timing and order of the presentations. State your mentor’s name in the Comments section. The “Full Text of Presentation” section is for all of your file uploads. Use the main upload for your presentation. Check the “additional files” checkbox so that you can then also upload your proposal. Please notify Dr. Dionisio if the final versions need to be revised so that it can be updated after the end of the semester. Please upload your final presentation and proposal files to Brightspace as well. Sorry for the redundant uploads; unfortunately the two systems don’t talk to each other.